The holidays are coming. This may mean lots of shopping. You might be considering how you can spend money and earn rewards for shopping. Well, you’re in luck! 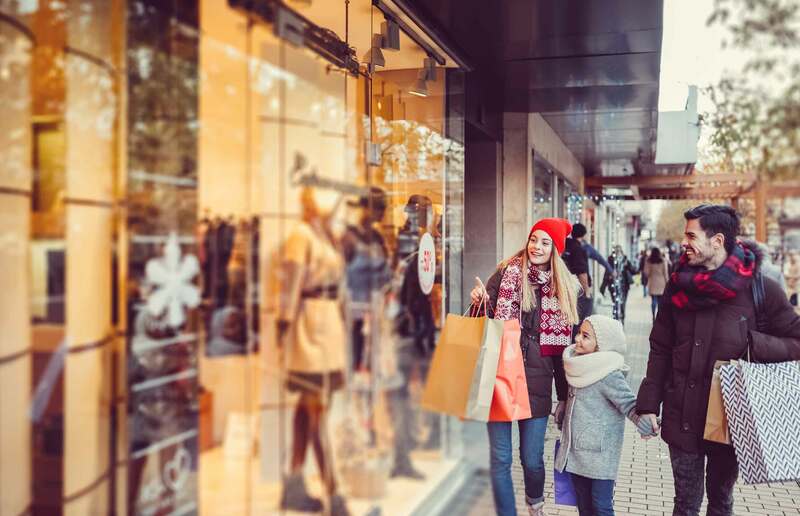 There are some great credit cards out there that offer cash back rewards – which means that spending for the holidays can help you earn some serious cash back. When looking for a credit card with great cash back rewards you need to find one that suits your spending habits. With this in mind, one of the best places to find those cards is by using Credit.com. Card Type: you can search for credit cards based on personal credit cards, student cards, business cards, and military cards. Preferences: you can filter out credit cards based on if they have no annual fee, low APR, or cards that can help you build credit. Credit Level: you can easily filter out cards based on your credit score so that you have a higher chance of getting approved for what you apply for. Issuer: if you have a preference of which bank your credit card will go through, you can filter based on that bank. You can also compare cards to see what’s best for you. Let’s take a look at some credit cards that offered on credit.com. The Chase Freedom Unlimited card offers 1.5% cash back on every purchase automatically and there is no minimum to redeem for cash back. Plus, you can earn $150 dollars if you spend $500 dollars in purchases within the first 3 months of opening your account. The cash back does not expire as long as your account is open. If you’re a foodie, then the Capital one SavorOne Cash Rewards Credit Card is for you. Cardholders earn unlimited 3% cash back on dining and entertainment, 2% at grocery stores and 1% on all other purchases. Plus, there’s opportunity to earn a one-time $150 cash bonus after spending $500 within the first three months of the account opening. The Wells Fargo Cash Wise Visa Card is very flexible – cardholders earn unlimited 1.5% cash rewards on all purchases. Plus, you can earn 1.8% cash back on qualified mobile wallet purchases like Apple Pay or Google Pay within the first 12 months of the account opening. Not only that, but you can also earn a $200 cash rewards bonus after spending $1,000 in the first three months of the account being open. You want to find a credit card that offers the most generous rewards for your spending. Some cards offer more rewards for certain categories, like groceries or gas. If you spend a lot in one category, then you may want to apply for a card that gives you more rewards for that category. Also, it may be good to find a card that doesn’t have a limit on the amount of cashback you can earn. Some cards put a cap on how much you can earn back from spending in certain categories. To see if there are any limits, see the card issuer’s terms and conditions. Another thing to consider is the fees. If you’re interested in a card with an annual fee, see if it will actually be worthwhile. If you travel outside the country a lot, then you’ll likely want a card that has no foreign transaction fees. Finally, if you can, find a card that offers a sign-up bonus. Not all cards do this, and it’s okay if you go with a card that doesn’t offer one. Some sign-up bonuses can mean hundreds of dollars in cash back (if you meet certain spending thresholds) and it can be a great opportunity to earn a lot of rewards. Cards that have a high annual fee but offer few and low rewards for spending. Cards that offer substandard rates of return – you’ll end up spending a lot of money without seeing much cashback or spending rewards coming your way. Remember though, that in order to qualify for a card with great rewards, you likely need to have a good or excellent credit score. Compare and contrast different cards to find the one that best fits your spending habits. You don’t want to be stuck with a card that offers travel rewards when you don’t fly. These rewards won’t be useful to you. If you have debt, you might want to avoid cash back reward cards and instead find a credit card that offers low interest rates. This is because the debt that you carry may cancel out the cash back rewards that you earn. Plus, the temptation of earning cash back might cause you to overspend. Should You Apply for More than One Credit Card? Different cards offer different rewards in different spending categories. In some cases, it may make sense to apply for more than one card. One issue you may encounter is you run the risk of having more accounts than you can handle. You might not be able to pay off the cards each month. Finally, applying for multiple credit cards at a time can bring down your credit score. Credit score formulas assume that since you’re applying for multiple cards that you’re a higher credit risk. With all of this in mind, find a card (or cards) that fits your spending habits and offers rewards that you’ll use. Also, make sure that you aren’t charging more than what you can pay in full at the end of the month to maximize the rewards the card can offer you. To see what cards you may qualify for, sign up now for a free Credit.com account. We give you two free credit scores that are updated every 14 days, as well as a Credit Report Card, which is a summary of what’s on your credit report.